Here we go. A brain dump of some random topics and thoughts running through my head that I wanted to share with you. 6 Random Thoughts on Bill Starr, Consistency, Being 'Too Busy", Strength vs Speed, What It Takes & The Future of Gyms. I've been writing every morning, waking up at 5 AM as I upgrade and update The Original Underground Strength Manual. The next version is going to be The Underground Strength & Sports Performance Manual. I'm past the half way point and the upgrade is going to be POWERFUL. The book will guide you yet it will also teach you to think for yourself. No absolutes. You MUST do this or you can NEVER do that. Bill Starr and his protege, John Phillip. You can read about Bill & John here. This photo speaks to me and hopefully to you. That squat stand looks no thicker than a broom stick! Those wide olympic plates, there are not many sounds more beautiful than the rumbling if steel plates as you squat heavy! 1) I pulled out Bill Starr's book, The Strongest Shall Survive, recently and actually do so quite often. It keeps my boots on the ground so to speak, in between my reading of Verkhoshansky. The cover and title of Bill's book alone fires me up. I just look at it and it reminds me to build hammers through the basics. I think the title can also be The Strongest Shall THRIVE. Weak people can't thrive. The body and mind need strength to thrive in this crazy world. I love how the book is so basic yet those training and nutrition principles still do and always will stand the test of time. The basics never stop working. That's the beauty of the basics. Those who know, KNOW. Those who keep seeking out fads and gimmicks wonder why they don't get better. If you don't respect the basics you'll continue to chase your tail. 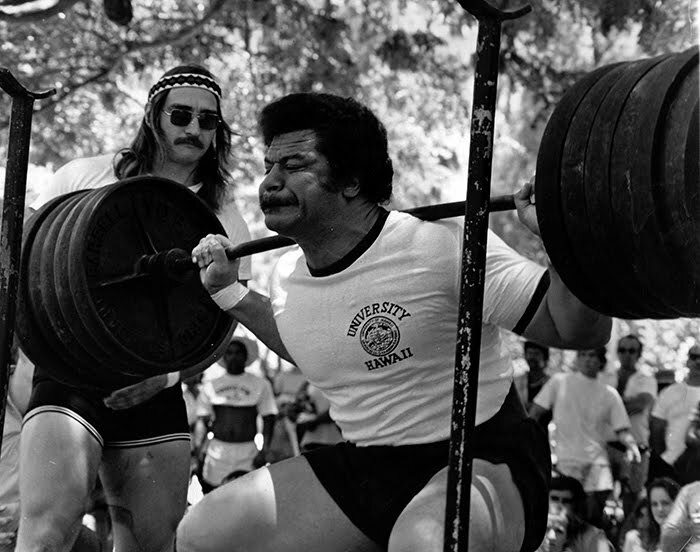 I love how Bill had his Football players at University of Hawaii entering powerlifitng and weightlifting meets. I had a conversation with a high school coach the other day and he told me they struggle BIG time to get the athletes to attend summer camps for 1/2 a day. He said when I was in school they were over booked and had to create additional camps that were FULL day. Re-Reading Bill's book inspired me to create some competitions for the athletes in house, getting them to step up and compete against themselves and each other. 2) You're NOT that busy. I can't tell you how many emails and messages I get through IG and FB on a daily basis. I answer them on the regular. I commute an hour each way to a university and still find time for all the important things. Sure, sometimes I won't answer a question if the person seems a bit disrespectful, but otherwise, I find time to answer them. I get my kids to their endless sports practices and games. I find a way. We find a way as a family. I think it simply takes discipline. The motivation is not always there but I'll tell ya what, if you're not naturally excited to do whatever it is you do, then the discipline won't be there either. We've all for the same 24 hrs in a day yet there will always be those who do and those who don't, those who will and those that won't. In college, during exams, I would study for days in advance. Days. And at the end of the night, I would hit the gym within 20-30 minutes of closing. The front desk guy was always mad and would say, We're closing in 15 minutes!". I always replied, I'll be done before you close! I would go in and crush a HIT workout ala Dorian Yates. 1) Pre exhaust the pecs with heavy machine flies, a few forced reps and a triple drop set! 2) Incline BB Bench. Work up to a heavy triple, then 2 forced reps, then a negative or 2, then a drop set. 4) EZ Bar Curls to failure, then 2 forced reps, then 2 negatives, then a drop set. Drive back home, post workout meal, shower, coffee and studying more. The mind does not stay sharp if the body is inactive. I would feel 100X better after that late night training session and it actually helped my studying! Who in their right mind would NOT want to crush a training session at the gym? It makes you feel alive! Of course, that HIT training session was from circa 1996-1997. GREAT times. 3) Consistency, Helping Others & Helping Yourself. I can't help you if you don't show up. You can't help yourself if you don't show up. I wonder what kind of excuses run through your mind or anyone's mind when trying to validate why you can't train today. Why you're so busy. Why it's better to just start next week, or after this or that happens. I feel we're all so much better than our excuses. I also wonder where I would be without wrestling? And, on the flip side, NOT all wrestlers are tough, hard working or dedicated. There are lazy wrestlers like any other sport. I'll never understand why some seek weakness over strength. When I miss a training session I can literally HEAR the barbell calling my name. I start to visualize myself squatting and deadlifting. I can already FEEL better merely by thinking about lifting. Iron Therapy is the BEST therapy! I've said it for 10+ years now, Don't be Strong & Useless. I wrote about this in my Encyclopedia of Underground Strength. To get stronger you must get faster. To increase speed, you must develop greater strength. Don't lie to yourself by thinking you or others should just focus on one of these traits. I incorporate speed into our warm ups and beginning of each workout. This will include jumps of all types as well as med ball throwing of all types. 4) Strength is a Mindset. I'm seeing videos of our high school athletes at 1 of my gyms (Scotch Plains Underground Strength Gym) and these kids are overhead pressing up to 100 lb dumbbells, heavier than college kids I train! How are younger, lighter kids lifting heavier than the older, bigger college kids? Mindset! When you want something and value something, your brain summons the power to achieve it! You get stronger when you're fired up and motivated. If strength is not important to you, I can literally SEE it in your physique. Your body will negate the results. This is why you can train a group of athletes, all in a similar fashion, yet some will be jacked and ripped and others will look like they don't even train. YES, their nutrition is key, but if I don't value training, my body will not soak up the maximum results. It's a strange "law of the lifting universe" that is hard to explain, yet something I know from ALL these years of training. This June will make my 30th year of training! Some people are just HUNGRY to win, hungry to get strong! If you don't think strength is important, it shows all over your face and in your efforts in the gym. 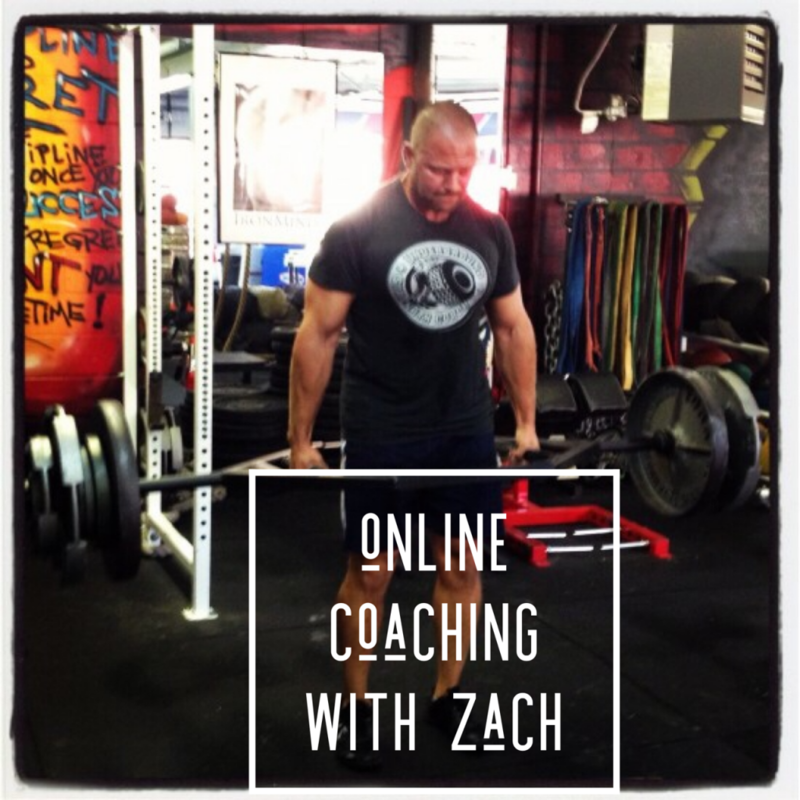 I've seen how you can actually WILL yourself to develop more strength & speed. You need BOTH. If you don't value strength and only believe in light weights, then a stronger opponent / team will defeat you. Your lack of strength will get exposed. The best option is to move those heavy weights with SPEED! 5) Arnold wrote in his bodybuilding books how he and his training partners always challenged one another during every training session. Every training session was some form of a competition. I learned from his books and did the same. It sent my workouts into a fury of intensity. We ALL got better from competing against one another. We didn't fear the challenge, we chased them! Who can do the most pull ups? 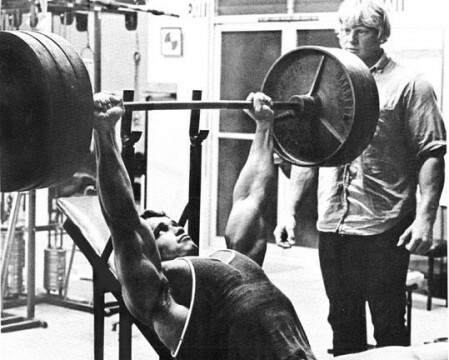 How many sets until someone quits or their hands can no longer grip the bar? Bodyweight Bench Press for reps challenge. Trap Bar DL 1RM Challenge. You saw the video above where the athletes from Liberty University were squatting not just heavy, but for speed being tested with a tendo unit. Who can move the weight the fastest? 1 Summer at a University I organized a series of challenges that went across a 3 day span. The first challenge was showing up all 3 days. If you can't show up all 3 days you're automatically out. Lots of guys cancelled themselves out simply by missing 1 day. Competing outside of their normal sport threw a monkey wrench in their mindset. I heard guys saying they don't like this or they don't like that. If life was easy as only doing what you like, we'd ALL be Winners. But the Champions do a LOT of things they don't like, they know that these small things give them the edge! The excuses in one area of someone's life tends to bleed over into other areas. So what does it take? In it's simplest form, to become great, it's going to require the greatest effort of your life. If you make excuses along the way for the work required to achieve success, then you will not become great. Someone else will defeat you. Telling your Coach you want to get stronger because strength is your weakness, yet for YEARS, you make excuses for not eating breakfast. I have athletes I train who are undersized and it hurts their success BIG time, and, for YEARS, they will NOT eat breakfast. Athletes who are heading to college for college sports and they stop training or train much less before college. Gym owners who consult with me and are struggling to stay afloat yet they will NOT follow through on simple actions to grow their business. Some people want it and some people talk about wanting it. What you DO demonstrates your true commitment level. 6) I live in a 2 sq mile town yet I think there are 4 or 5 different gyms within the 2 square miles. What is the future of the gym owner? What gym will thrive? What and who will not thrive? 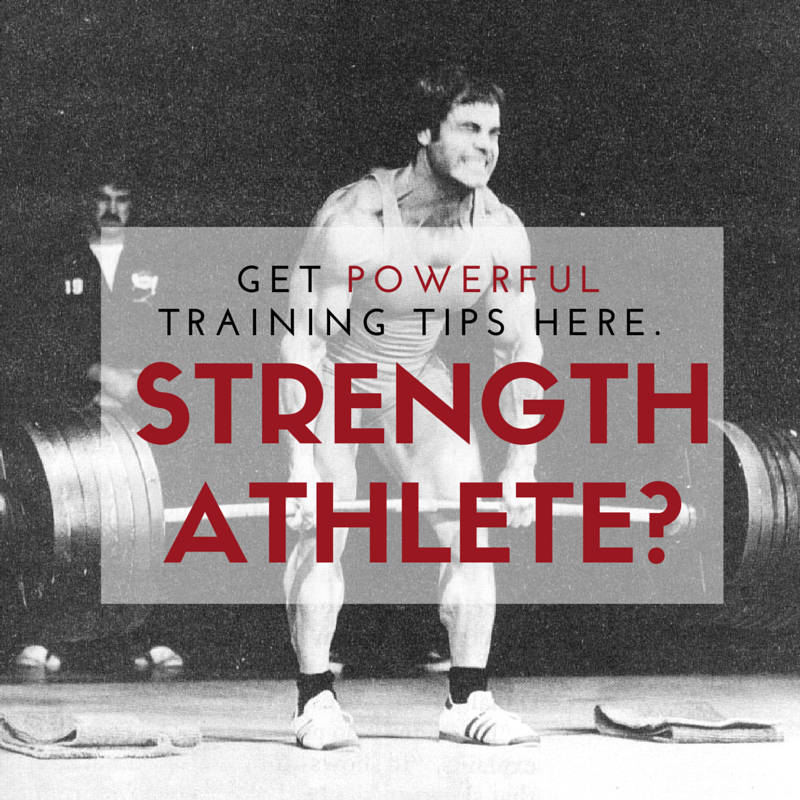 I discussed this topic in STRONG Life Podcast 161 with my bros from Power Athlete. I have spoken for 10+ years about the barn gym and John Welbourn made it happen. I've seen a few others make it happen as well. It's a possibility for sure. 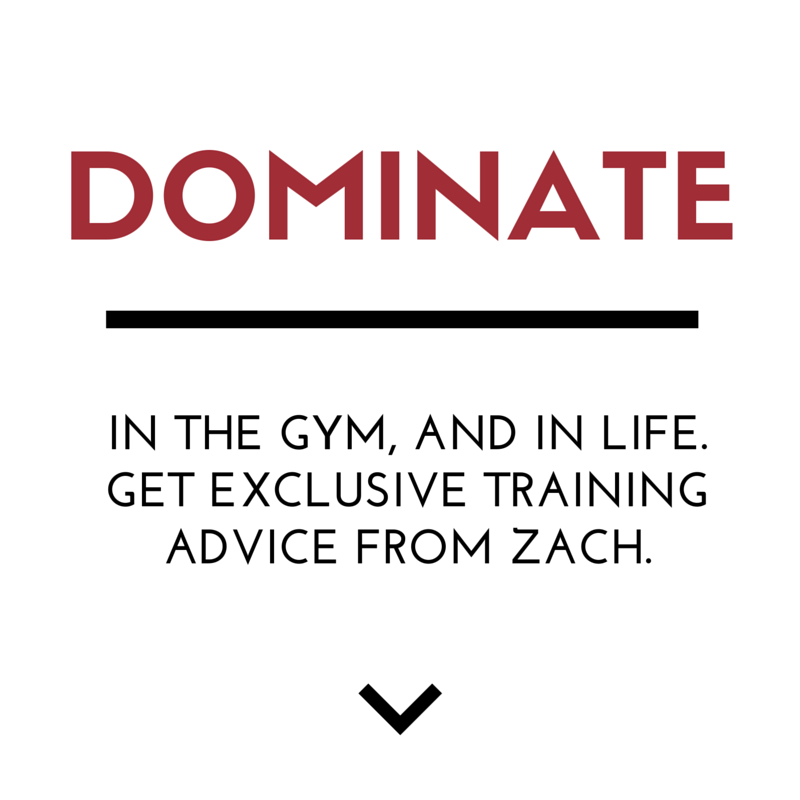 Listen to the podcast to hear my thoughts on where I feel the gym industry is going. Got comments or questions? I'd love to hear them so post them below. Share this article with anyone you know who appreciates hard work on the basics. “The Strongest Shall Survive” was the first strength book I ever saw. It was given to me when I was in either 8th or 9th grade by a close friend who was 3 yrs older and a HS football star. I always looked up to that kid, wanted to be like him, so I devoured that book! And yes, just seeing a picture of the cover brings back memories! Now it’s in a box somewhere in my garage and I’ve been meaning to look for it for about a month – now I’m on a mission to find it! But I do have a group of freshman and soph’s, and three 8th graders ready to GET AFTER IT!! Guess what – they’re the HAMMERS!! It’s a lonely road sometimes, but I’m grateful for the Underground connection – Thanks for keeping the basics alive!! BD that is awesome you were gifted that book so long ago! I wish I had such a book and mentors like yourself. Parents need to invest in coaches like yourself. As a Dad myself, I want my kids to have a coach who mentors them and shapes them for life! Keep being awesome, my man, GREAT things will happen! I just read this again and watched all the videos. Your athletes definitely get results big time! Thanks for all you have done and continue to do!